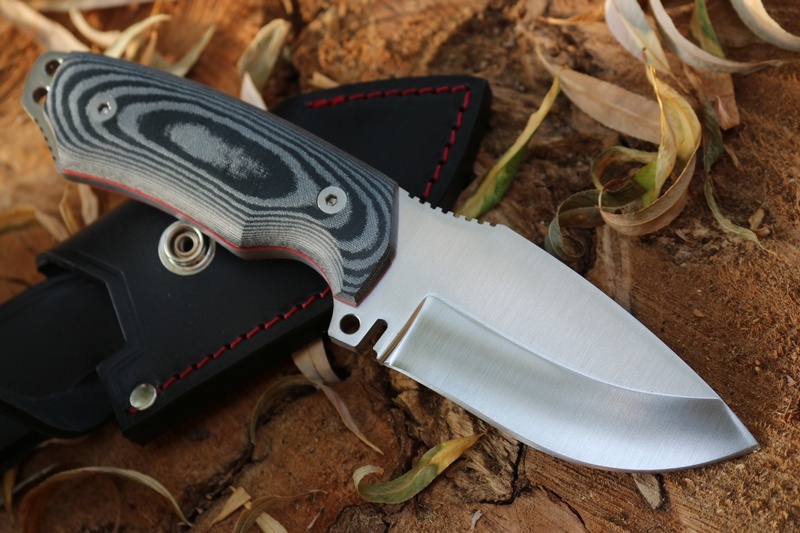 The slabs are solid Black micarta (Red liners) with stainless steel allen screws and the handle is sculptured comfort and grip. 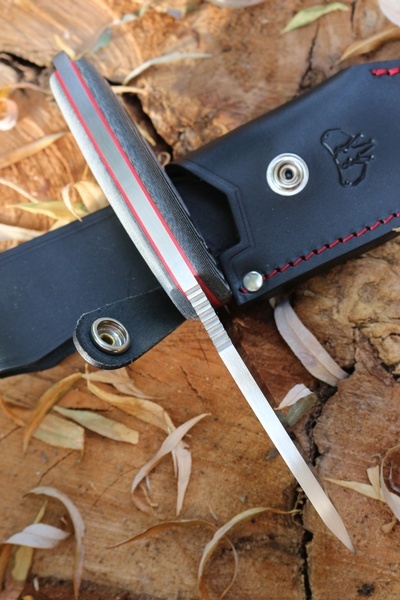 The tang is extended at the back with a double hole lanyard and a thumb ramp (with jimping) allows for even greater control. 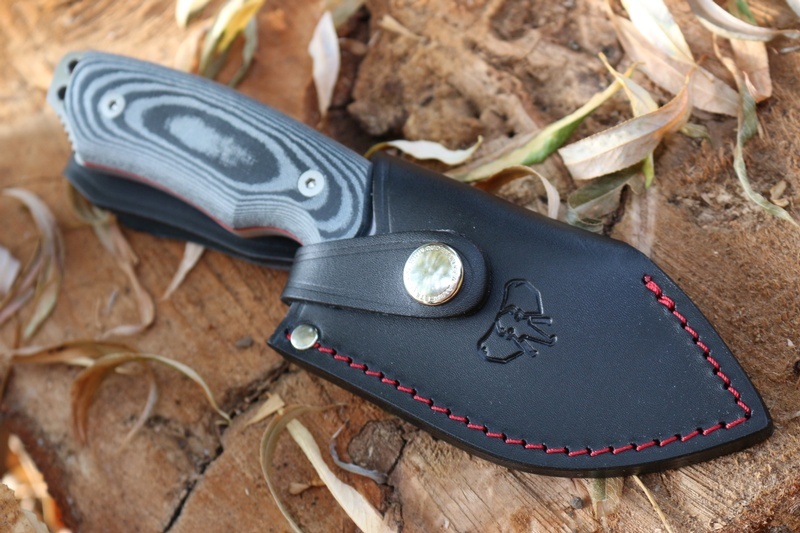 Comes with a Black leather Sheath. 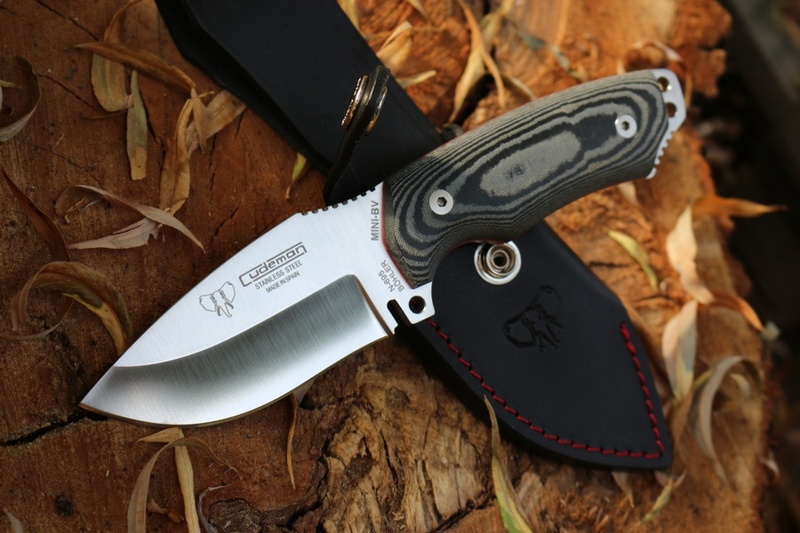 Purchase through PayPal by using the "Add To Cart" button above or use the form below to order the Cudeman Compact Survival Black . 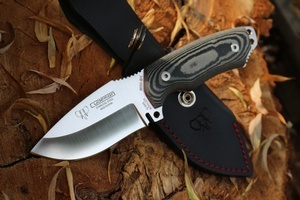 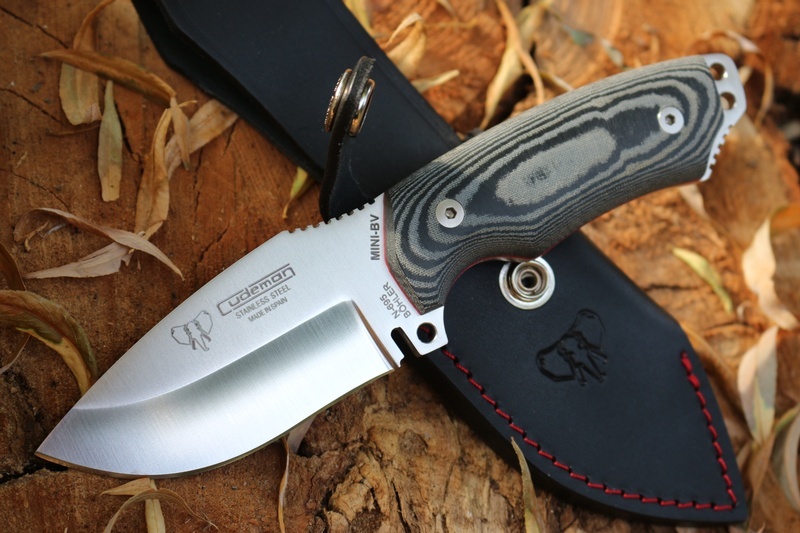 Feel free to contact us if you have any questions about the Cudeman Compact Survival Black .